In international human rights spaces, religious fundamentalists are now operating with increased impact, frequency, coordination, resources, and support – putting our rights at risk. Anti-rights actors are chipping away at the very content and structure of our human rights concepts, institutions, and protections, with disastrous consequences for human rights and gender justice. Their aim is to erode the very basis on which we can claim our rights. 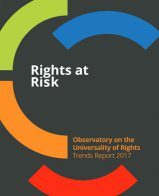 This report is the first of a series on human rights trends produced by the Observatory on the Universality of Rights (OURs) initiative, a collaborative and multi-organizational project that aims to monitor, analyze, and share information on anti-rights initiatives. The report analyzes key trends and developments mapped over 2015 to late 2016 in order to inform and support our collective advocacy. Anti-rights mobilization at the international level constitutes a response to the significant feminist and progressive organizing and impact therein over the past three decades. It also represents ultra-conservative actors’ new commitment to multilateral processes as a space of influence. Today we are witnessing a set of interlocking factors that paint an unsettling picture of our human rights system under attack: increased coordination of religious fundamentalists across regional, institutional, and religious lines in human rights spaces, and the strategic and proactive undermining and co-optation of our human rights framework. Imperatives for the future include…[t]o take energetic action within the NGO process to blunt or prevent new assaults on family integrity; to identify, protect, and help advance existing “friends of the family” within the U.N. Secretariat; to “place” such friends in positions of current or potential influence within the U.N. Secretariat; and to build an international movement of “religiously grounded family morality systems” that can influence and eventually shape social policy at the United Nations. Actors using arguments based on anti-rights interpretations of religion, culture, tradition, and rhetoric linked to State sovereignty have made significant strides in implementing and institutionalizing their regressive agenda at the UN in recent years. As any participant or witness of policy negotiations will note, the ‘battle for rights’ is fought in large part on the level of language and rhetoric. Many conservative actors have creatively and effectively regrouped in this area, with increased success towards achieving their goal of undermining rights related to gender and sexuality. Influence and impact are not won by rhetoric alone. 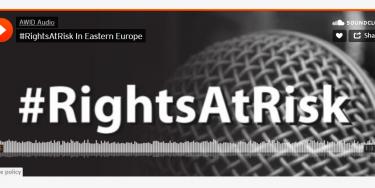 Anti-rights actors are making inroads into our human rights standards not only because of their increased numbers and networks, or their imaginative and sustained re-conceptions of what human rights norms should and do mean. 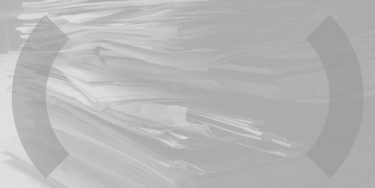 The success of any movement is also integrally driven by its organizing tactics. Like their shifts and feints in discursive strategy, the religious right active in international human rights policy spaces has not remained static in their organizing. This landscape reflects several overarching trends: learning from their opposition, namely feminists and other progressives and their strategies at United Nations conferences in the 1990s; mirroring successful tactics developed in partnership with powerful elites from the domestic level to the international; and moving from a paradigm of symbolic protest to ‘insiders’, with the attendant changes in opportunity mapping and approach. Anti-rights actors’ discourses and strategies have had a substantive impact on our human rights framework and the progressive interpretation of human rights standards, and especially rights related to gender and sexuality. Over 2015 and 2016, we have witnessed the watering down of existing agreements and commitments; deadlock and conservatism in negotiations; sustained undermining of UN agencies, treaty monitoring bodies, and special procedures; and success in pushing through regressive language in international human rights documents.